It didn't happen overnight but I can now hand on heart say that I have not bought anything from the high street in months. The more glitter and sparkles I see, the more I retreat to basics, such as simple cashmere and white t-shirts. I dress for myself, but I know that when I see my friends, everyone looks best in a simple white t-shirt and a good pair of jeans. Boring? How many times is the item you want sold out in your size? Similarly, we all have loads of items in our wardrobe that need repairing, shortening or let out or in. Is Rodebjer the new Ganni? I have been looking for a brand that has the same fun and wearable element to it as Ganni...but isn't Ganni, Not that there is anything wrong with Ganni other than it is just on everyone and is everywhere! Sample sales used to be solely for the in-crowd. I am being much more careful about not jumping on every latest bandwagon. 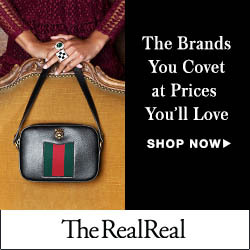 At the same time I do want keep my look semi-current, and having examined the recent trends, I notice that these drawsting/slouch bags are popping up everywhere this season.